It’s a chilly October morning when we head out with Captain Chris Ludford of Virginia Beach’s Pleasure House Oysters. 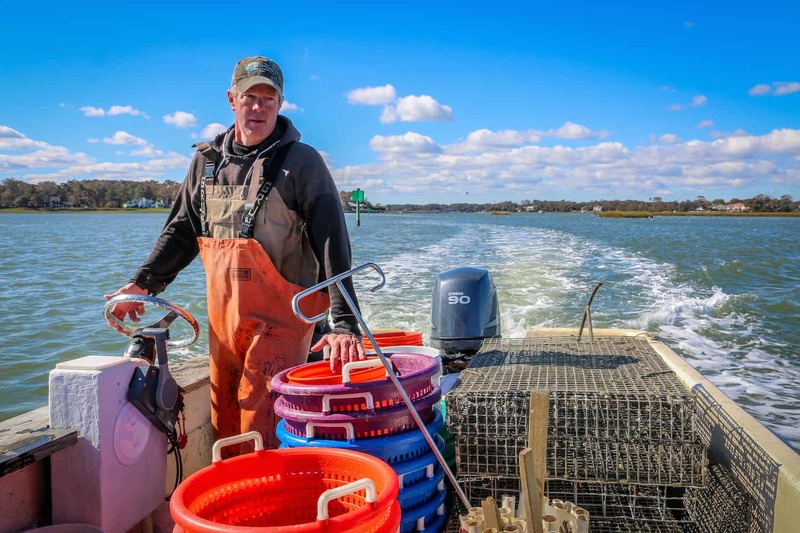 We step onto his boat loaded with oyster cages, colorful baskets, and various other tools of the oyster farming trade, sitting on massive coolers made to keep his harvest fresh for the local farm-to-table restaurants that serve them. There’s a crisp breeze and clear blue skies as we pass by Pharrell Williams’ palatial summer home and cross the gaping mouth where the Lynnhaven River feeds into Chesapeake Bay. It’s only 8AM and, other than a few squawking Gulls and Cormorants resting in the shallows at low tide, there’s not a single soul within sight. It’s a tranquil, picturesque scene. But as we struggle to wake up while nursing huge cups of steaming hot coffee to ward off the chill, Captain Chris– a full-time firefighter who has been fishing these waters since he was a kid– has already been out for hours, and is clearly pumped to show us his passion project. Wild oysters have been a food staple of this area for centuries. The indigenous Chesepian people, who were part of the Powhatan Confederacy, lived in the areas now known as Norfolk, Chesapeake, and Virginia Beach long before Europeans arrived on these pristine shores. When Captain Christopher Newport made his famous “first landing” here on behalf of the Virginia Company in 1607, the 105 men and boys who arrived founded Jamestown (the first permanent English settlement in North America). But the colonists were woefully ill-prepared to survive a wild, untamed land that included maritime forest, tidal marsh, and cypress swamp. Ludford and his family (including his mom, Beverly, who accompanied us on our tour) started Pleasure House Oysters in 2010 after noticing that the area’s famous crabbing industry was slumping. 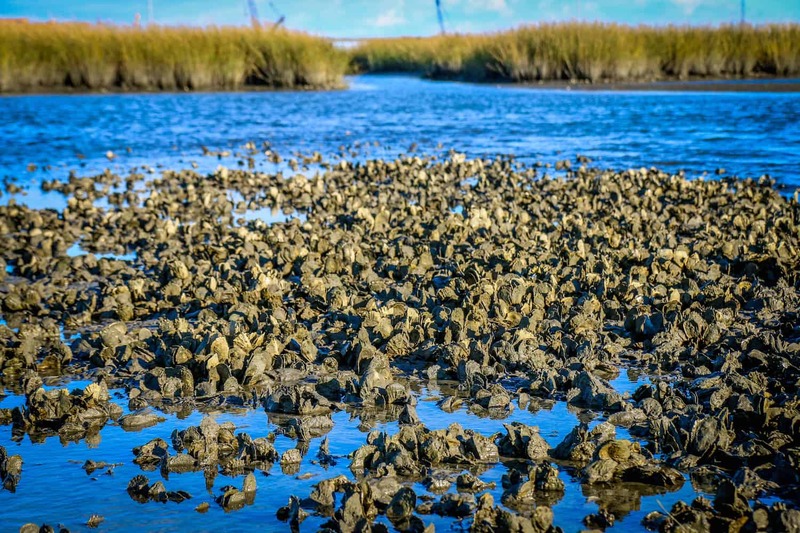 But the practice of farming Ostrea Virginica in the Lynnhaven River dates back over 250 years. Lynnhaven was largely settled by Adam Thoroughgood, an indentured servant-turned-community leader granted 5,350 acres of land here in 1635. Naming the area after his hometown– King’s Lynn in Norfolk, England– he started an off-the-books tavern because he liked to drink, but didn’t want to pay British taxes on the business. Locals called it the Pleasure House, because “pleasures” was a euphemism for alcohol back then. The Thoroughgoods and other prominent local families made their fortunes farming, fishing and raising oysters to resupply ships going in and out of Norfolk. They even dug out the inlet where Ludford’s oysters are raised, to relieve pressure on the dunes when the area was hit by storms. 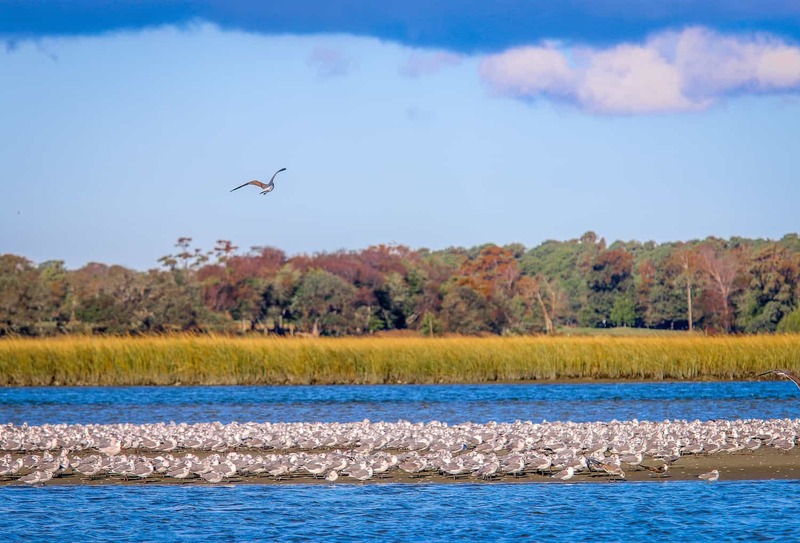 In doing so, the oysters help protect the Pleasure House Point Natural Area, a 118-acre preserve that includes water, tidal marsh, sandy shores, and maritime forest. 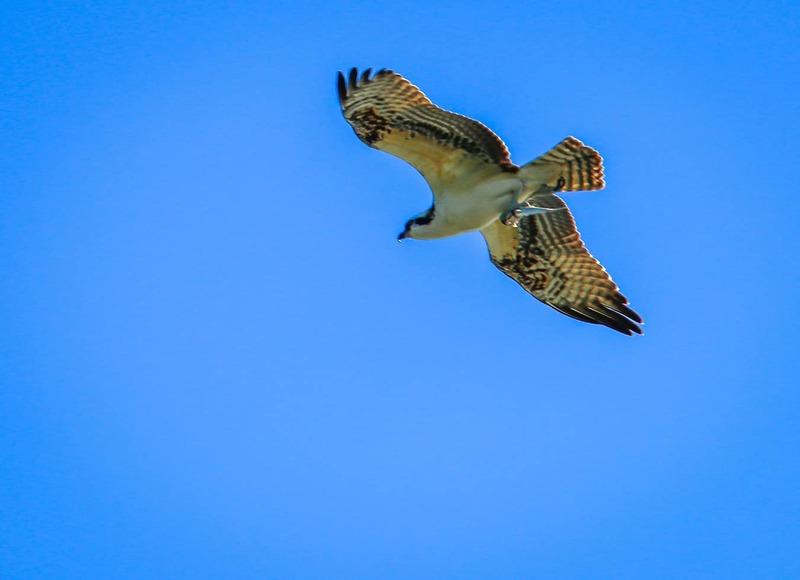 It’s home to myriad species of wildlife, including Chesapeake Bay Blue Crabs, Diamondback Terrapins, Herons, Egrets, Osprey and various types of fish, reptiles and amphibians. 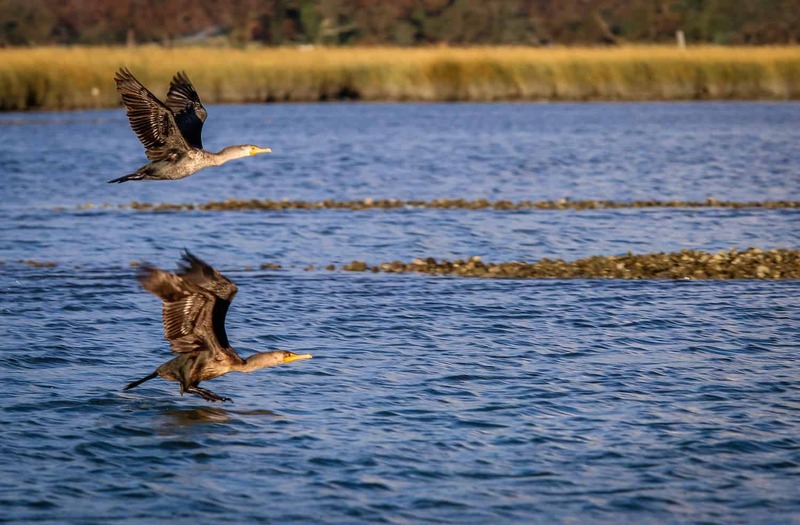 Runoff, pollution and over-harvesting of the Chesapeake Bay became huge issues in the 1970s, creating problems ranging from algae blooms to marine dead zones (a.k.a. waters too depleted of oxygen to support life). The Lynnhaven River was actually closed for a time due to agricultural run-off and the sheer number of septic systems resulting from the decade’s rapid urban sprawl. The area’s oyster industry took a huge hit, with wild population numbers shrinking to around 10% of its peak. But in the last few decades there have been considerable improvement efforts to restore water quality through the Chesapeake Bay Program. Captain Chris is an active participant in the Lynnhaven River Now project, which is based out of the Brock Environmental Center. By working to manage harvests, establish sanctuaries, overcome the effects of disease and restore reefs with hatchery-raised seed, projects like these have helped improved the health of both river and bay tremendously in recent years. 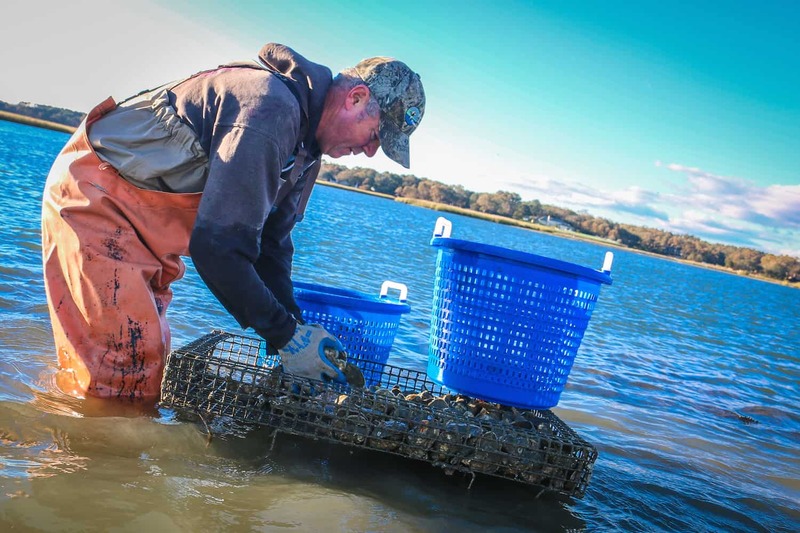 Ludford uses traditional oyster farming techniques, doing everything by hand and using no machinery on his oysters during their 2-year lifespan. This means putting in at least three days of hard work– lifting cages, cleaning, tumbling, maintenance, and pampering the oysters to ensure good circulation– for every one day of harvest. 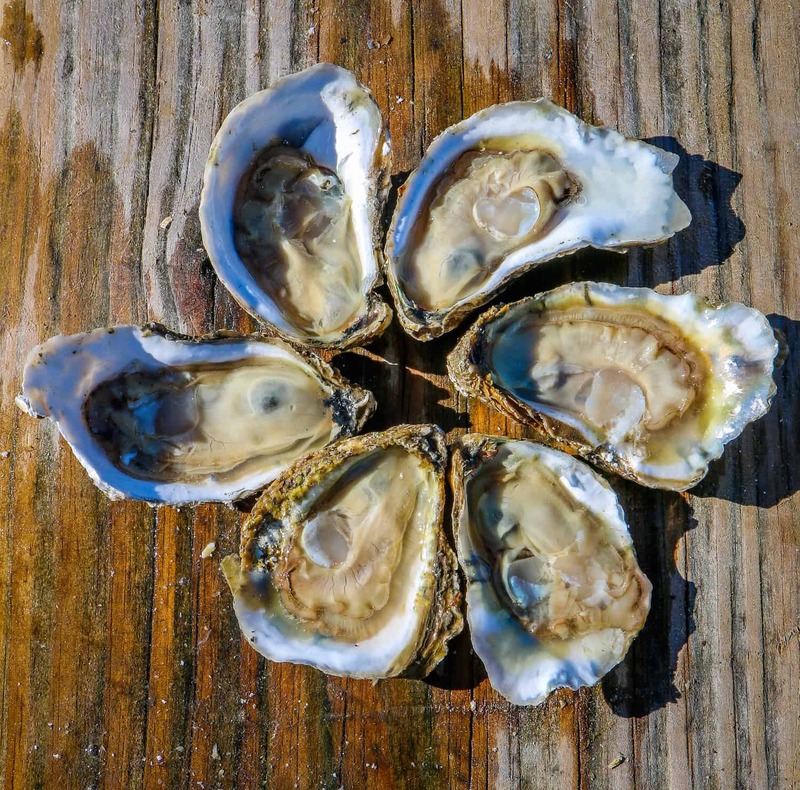 For foodies interested in sustainability and the farm-to-table movement, a Pleasure House Oyster Tour is hard to beat. Decked out in waders, we watch up close as Captain Chris’ 2-man crew, Kyle and Lee, painstakingly clean and sort the oysters by size, getting rid of the dead ones (about 50% never reach maturity). Once sorted, they’re put into cages and anchored in Pleasure House’s private-lease parcel of the Lynnhaven River. Meanwhile, Beverly sorts through mature oysters, picking out the very best for local clients. A true ostreophile (a.k.a. oyster lover), Ludford’s passion for the product of his craft seems to ooze from every pore as he nimbly inserts his knife into several oysters plucked fresh from the sea and begins shucking them for our pleasure. 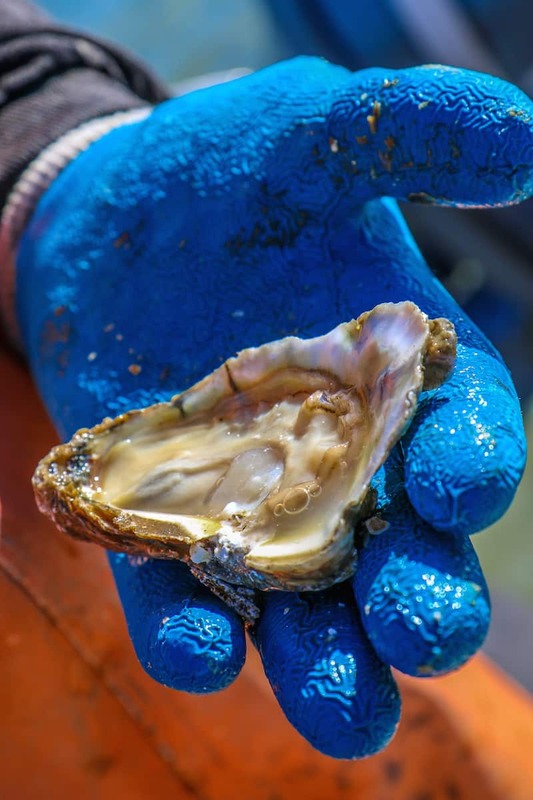 Just as wine connoisseurs discuss terroir (the way things like pH and soil acidity affect flavor), he talks about how an oyster’s taste is defined by its meroir– whether it was cage-grown or wild, the nature of the local aquaculture, whether it was grown near a marsh or a sandbar flat. When the English first arrived in Virginia, they described seeing oysters “as big as dinner plates.” For nearly a century, Lynnhaven oysters were coveted by royalty as far away as Europe and Russia, renowned for their impeccable flavor, texture and size. Ludford’s massive Pleasure House Oysters make it easy to understand why. Their flavor is exquisite, with a silky texture and a sweet, almost floral seaweed flavor that’s utterly lacking in metallic mineral tinge. 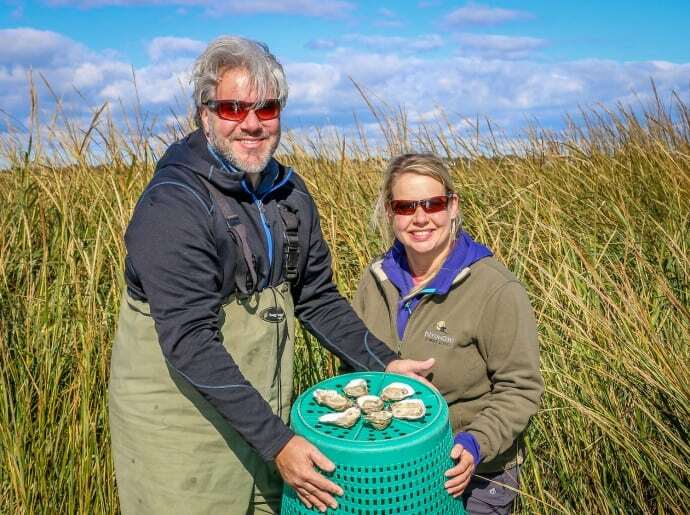 We’ve had fresh oysters around the world, and these were among the best we’ve tasted– a testament to the conservation comeback going on in the Lynnhaven River and Chesapeake Bay. Captain Chris, a 40-something who will likely retire from firefighting in the next few years, seems thrilled by our enthusiasm. Pleasure House Oysters is a family business, and he envisions building it into something great that his boys– an 8-year-old and 6-year-old twins– can one day inherit. For him, it’s not about the money, but working and preserving this beautiful piece of American history as his ancestors have for generations. 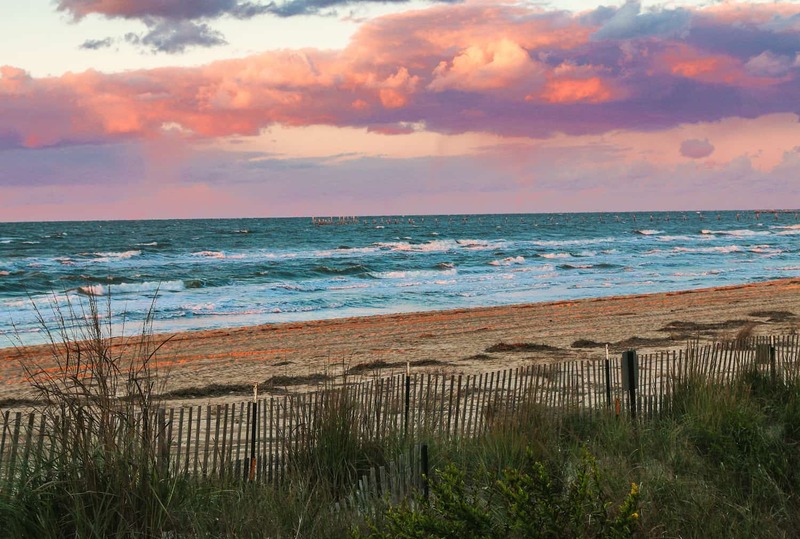 Our trip was sponsored by Travel Mindset and the Virginia Beach CVB. But our opinions remain our own, and we will never compromise our obligation of integrity to our readers.